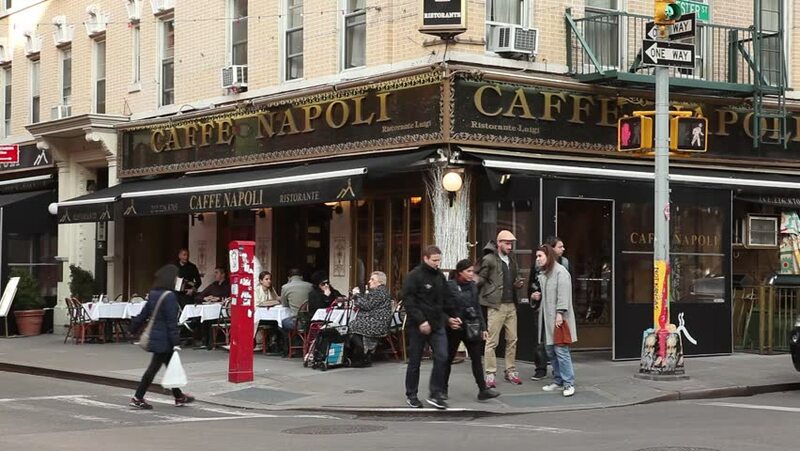 New York, New York, USA - March 8, 2016: Caffe Napoli an Italian Restaurant in the Little Italy section of Lower Manhattan at the intersection of Mulberry and Hester Street. People can be seen. hd00:09PARIS - SEPTEMBER 9: A bistro on a busy corner of the Latin Quarter in Paris on September 9, 2012.
hd00:13VALENCIA, SPAIN - JANUARY 12, 2017: Outside a Nespresso store in Valencia. Nespresso sells coffee capsules and machines that brew espresso and coffee from these capsules. hd00:19EDINBURGH, SCOTLAND - JUNE 03, 2014: Tram pulls into platform at Princes Street. The Edinburgh trams system opened in May 2014 at a cost of £1 Billion.